The CRYBABY 535Q - is the swiss army knife of wah pedals. It provides control over the most important wah parameters, making it easy for you to creat your ultimate wah tone. Select thr fequency centre of the effect, then dial in the frequency range to be swept by the pedal. From narrow to sharp to broad and subtle, this powerful wah will deliver it. Once you've got your sound, make sure it gets heard with the adjusterble , switchable boost that can creat endless sustain on any note. 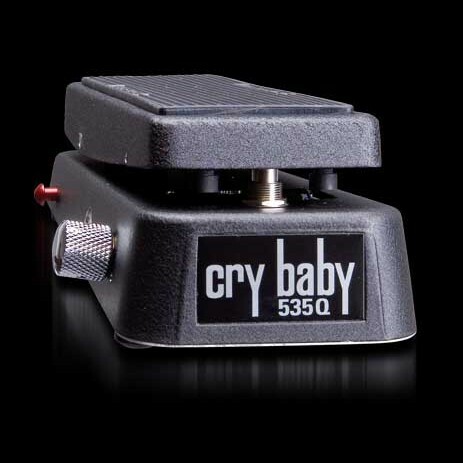 This is the wah pedal of choice for guitar master Joe Satriani. The 535Q offers versatility never heard before. You can customize and shape the sound of the wah by a simple turn of the 'Q' dial from narrow, sharp to broad or subtle. MXR I Love Dust Phase 90 Ltd Ed.